One of the cornerstones of Missouri custody law is that both sets of parents and their child have frequent and meaningful contact. Missouri divorce attorneys and child custody attorneys operate in a legal system that has a clear preference for an outcome where both parents share in the decision making process on behalf of their minor children and also where each parent has a substantial period of physical custody with their children. In circumstances when it is in the children’s best interest to have significant custody periods with both parents, the family court will work through what can often be a delicate balance, taking into account many factors including the parent’s respective work schedules and the child’s academic commitments, to create a schedule that is in the child’s best interest. However, this delicate balance can be upset when either parent wants to relocate their residence to a new address that will make the existing physical custody schedule logistically impractical. Missouri family law attorneys and judges are often faced with this dilemma in determining a child’s best interest in the context of a proposed move. These type of cases are often referred to as “relocation cases”. A proposal for a revised schedule of custody or visitation, if applicable. The party who receives the notice, has thirty (30) days from the date of the receipt of the notice to file a motion to prevent the move. If the motion to prevent relocation is timely filed, the move cannot take place unless the court allows it. In determining whether to allow the relocation, a Missouri family court judge must make a determination if the proposed move is made in good faith and is in the best interest of the child. If you are faced with the prospects of a potential relocation case, whether you desire to move with your child or want to prevent a move, an experienced Missouri Family Law Attorney at the Bellon Law Group can guide you through process. 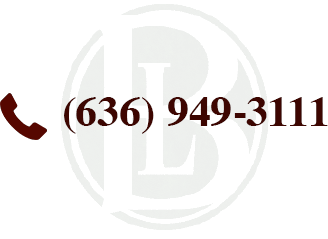 Contact The Bellon Law Group today to schedule a confidential consultation regarding your rights and the rights of your child.